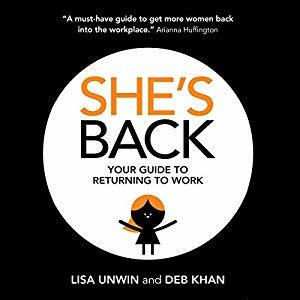 Obelisk Support consultant Alisha McKerron Heese provides some advice to women returners on coming back to the law after a career break, from her attendance at CMS’s two-week programme for women returning to work – the first programme of this kind to be organised by a UK law firm . Coming back into the fold after a career break is by no means an easy thing to do. As women returners, often the barriers we face come not from the gap on our CV, but how we approach it in our own minds. The biggest obstacles we encounter in returning to work are, in fact, those that we create for ourselves by not putting ourselves forward correctly. Putting yourself forward after a career break requires considerable time and effort – more than you might think. It requires careful consideration of paperwork, including your CV, cover letter and online presence, and putting yourself across in the right way when networking and interviewing. Allocating a mere half hour to the task is unlikely to yield good results. Your CV needs to evolve beyond just a list of employers and experience, particularly when you have a career break to incorporate. Begin with a neat profile about what services you offer, and what you are looking for, so that potential clients can identify themselves as potential clients. Your summary lets you speak directly to your potential clients, and should be used to tell them why you’re their best choice. This should not be more than two or three lines. Next, note down your previous work experience and education. Don’t just list the names of companies you worked for – it’s important to highlight your specific involvement in the companies, as well as the outcome of your work (example sentence: “Acme Corp: involved in X task, helped Y team complete merger Z”). This paints a more complete picture of your skills. Don’t be despondent that your work experience has dated: as a returner, it’s more about demonstrating the skills you have acquired than demonstrating being up to date. Spend some time thinking about the past – be sure to include anything relevant, no matter how many years ago it was. Don’t try to hide your career break. Do disclose the length of your career break, but ‘sandwich it’ between past experience and what you are doing at the moment, e.g. any unpaid work that demonstrates recent skills acquired. Skills are transferable, which is why it’s so important to highlight them. LinkedIn is an ideal place to establish your online presence as a lawyer, as it is where head-hunters will look for candidates. For work use, other social networks such as Twitter or Facebook are not as vital, though you might see a use for them if you wish to establish a blog or a presence as a public commentator. Take the time to research how to use LinkedIn effectively so your profile really stands out from the crowd. Networking is less about trying to impress people, and more about gathering information in order to maximise the possibility of a win-win collaboration. It’s less about being interesting and more about being interested. It’s an opportunity to ask questions, to listen, to learn and to make a connection with someone. Treat networking as an adventure and you may find that it is more pleasant than you might think. While you should not steer the conversation towards yourself, be ready with a synopsis of what you have to offer if asked. Don’t stress about having to talk to everyone – forming a closer connection to a few people can be as beneficial as talking to many. If you do want to talk to others, however, don’t be afraid to leave one person to talk to another. As long as you give a reason for doing so, and don’t leave the person on their own, that’s fine. When preparing for an interview, it’s important to think about what impression you would like to make. Your first impression is perhaps more important than you might think! Even if the rest of the interview goes well, the first impression tends to dominate the interviewer’s overall impression of you (primacy bias). In fact, they will set about gathering information to confirm their initial assessment of you (confirmation bias). Some of these biases can be harnessed for good, however: if you are able to match their behaviour – or, better still, pick up on something which you both have in common, you will make a better connection with the interviewer (affinity bias)! Give consideration to: your entrance and exit, what you wear, your deportment and volume, and pace of your speech. Turning up late to an interview should be avoided at all costs (an example of the primacy bias working against you). It’s also important to find out as much as you can about the interviewer, and to have a clear understanding of the job description. Think about what competencies the interviewer may be looking for. The work experience listed on your CV should help here. Be ready to give “STAR stories”: examples of Situations you were involved in where you were given a Task that led to an Action you took, and the consequent Result. Prepare answers for likely questions that may arise. Ensure that you have a good organisational understanding of the company at which you are interviewing. Finally, take a moment to check the news on the morning of your interview, to show that you’re up to date with current affairs. A well-prepared CV, a good LinkedIn presence, and good networking skills put to regular use will, sooner or later, lead to an interview. Thorough pre-interview research and preparation will help turn that interview into a job offer. You may think it’s much more complex than that, as I know I did before I attended the CMS programme. The preparation process helped me identify my skill set, which built up my self-esteem, which in turn built up my self-confidence. Hopefully, it will do the same for you.